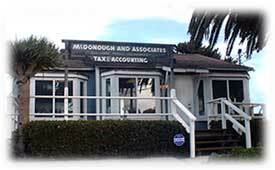 McDonough & Associates, CPA was founded in 1989 to provide comprehensive and cost effective tax services to businesses and professionals. By offering personalized services and a close attention to detail, our business has expanded rapidly. Today we service numerous accounts throughout San Diego and various states accross the United States. Our firm is a member of the California Society of CPAs. Founder and the primary tax professional, Linda has over 20 years of professional tax experience, including a five year stint with Price Waterhouse Coopers. She has been in private practice for over ten years. Linda received a Masters of Science in Taxation and a Bachelors of Science in Accounting from San Diego State Univeristy. She maintains her tax knowledge with cutting edge continuing education. Brian assists the firm with advanced tax law research. By combining a knowledge of tax law and accounting, McDonough & Associates, CPA is able to offer a comprehensive knowledge base. 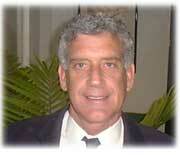 Brian received his law degree from the University of San Diego in 1987 and is a member of the California State Bar. Together, we provide the best tax services available. Our spirit of service, dedication and commitment make the difference in the success of our firm and in the satisfaction of our many longstanding clients.